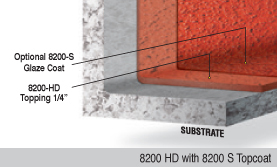 8200-HD offers the most extreme chemical resistance; making it perfect for areas subject to caustic washdowns. 8200-HD also withstands mechanical abuse from steel wheeled traffic. Essentially odorless, 8200-HD is suitable for food and beverage facilities. Labor saver; high build in a single coat; "Contractor's Choice"
Heavy-duty flooring for chemical processing, food & beverage and industrial manufacturing environments such as dairies, bottling, meat & poultry processing, breweries & wineries, processing plants, secondary containment, grain processing, trench liners and tank farms. Heavy-duty vertical coating for concrete or block walls in chemical processing, food & beverage and industrial manufacturing environments such as dairies, bottling, meat & poultry processing, breweries & wineries, processing plants, secondary containment, grain processing, trench liners and tank farms. The TX formula utilizes a proprietary resin system to create a durable, textured, two-component, 100% solids anti-slip floor coating. 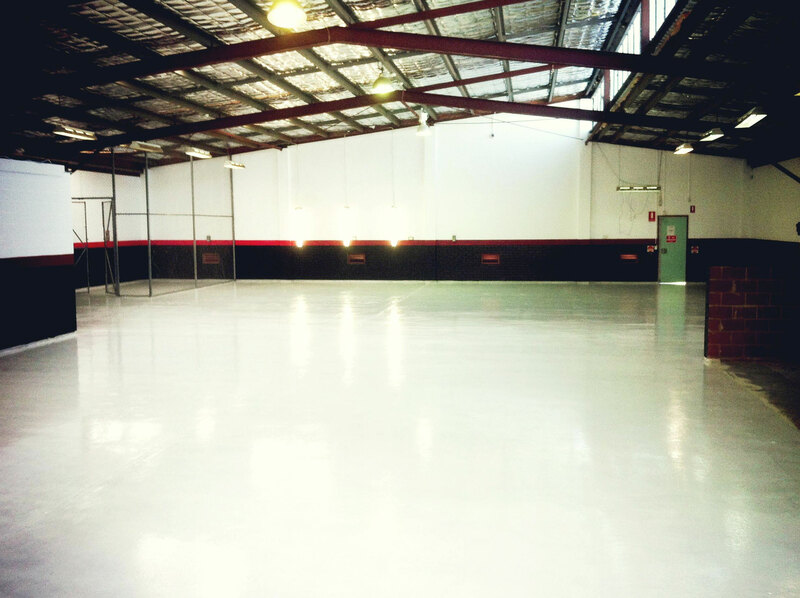 Count on the advanced technology of Citadel 8200 TX for a textured floor coating that maintains its "like new" look. Ideal applications include high-traffic areas, areas requiring slip resistance or protection against chemicals and abrasion. 8200 TX can be easily combined with other systems, like 9000 System, or with additives like Aluminum Oxide for maximum performance and protection in your busy facility. Textured floor coating for institutional, commercial & light manufacturing environments like laboratories, offices, corridors, locker rooms, shower rooms, restaurants, bathrooms, kitchens, cafeterias, schools, manufacturing, pharmaceutical areas & hospitals. Floor coating for chemical processing, food & beverage and industrial manufacturing environments such as dairies, bottling, meat & poultry processing, breweries & wineries, processing plants, secondary containment, grain processing, trench liners and tank farms. Also used as a chemically resistant topcoat in heavy-duty and thermal shock environments. Vertical coating for concrete or block walls in chemical processing, food & beverage and industrial manufacturing environments such as dairies, bottling, meat & poultry processing, breweries & wineries, processing plants, secondary containment, grain processing, trench liners and tank farms. Cover base for chemical processing, food & beverage and industrial manufacturing environments such as dairies, bottling, meat & poultry processing, breweries & wineries, processing plants, secondary containment, grain processing, trench liners and tank farms.